The Smoky Hill Museum utilizes six full-time and five part-time staff, as well as several interns. Skilled craftpersons and designers are contracted as needed, strengthening the community’s economy. 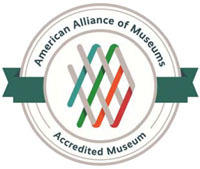 The Museum draws families and conventioneers from across the U.S. Since 45% of visitors come from outside Saline County, the Museum has a direct impact on many regional businesses. Nationally, cultural nonprofits contribute more than $135 billion annually in direct spending. The Smoky Hill Museum is one of only 12 nationally accredited museums among more than 400 across Kansas. The institution and its staff strategically leverage their influence by partnering with organizations including the Central Kansas Cooperative in Education, the Kansas Humanities Council, Kansas State University-Salina, Kansas Wesleyan University, Salina Downtown Inc., Lakewood Discovery Center and USD 305. Skilled historians, artists and demonstrators also play a part. Donors who support such partnership projects see their gifts exponentially levereged over time.